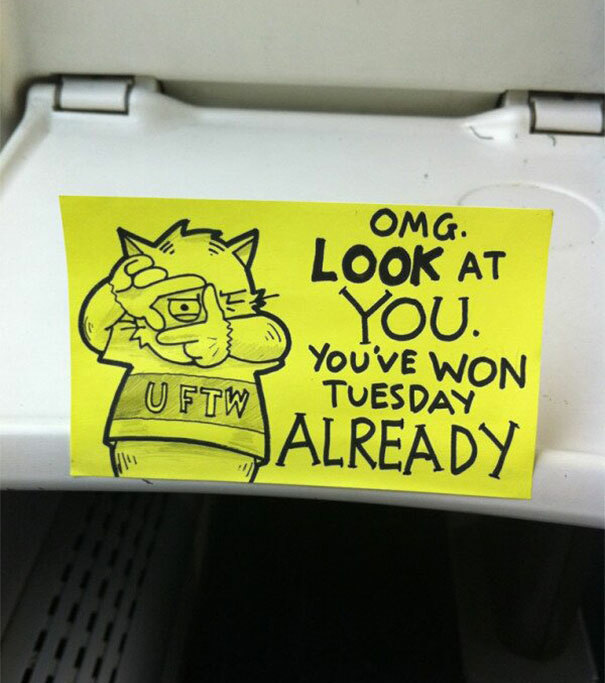 Remember October Jones, which we featured, here, back in February? 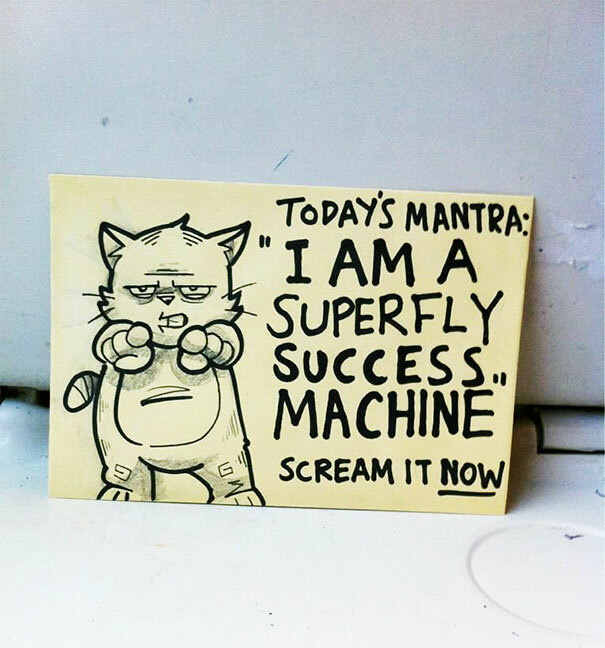 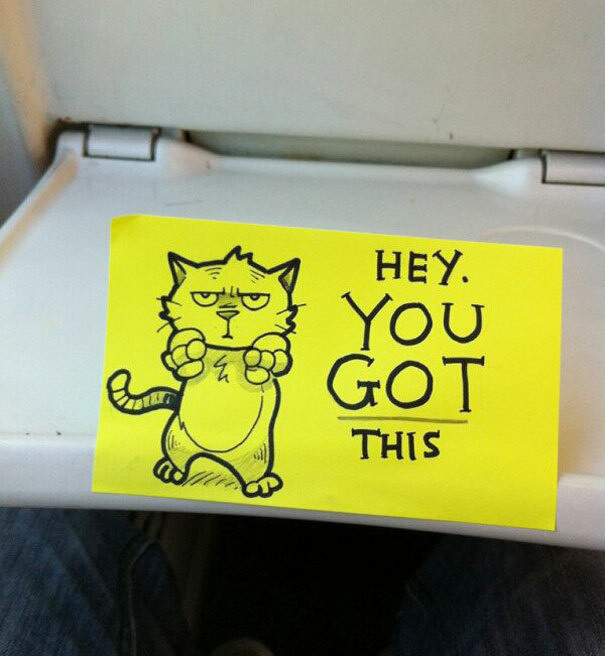 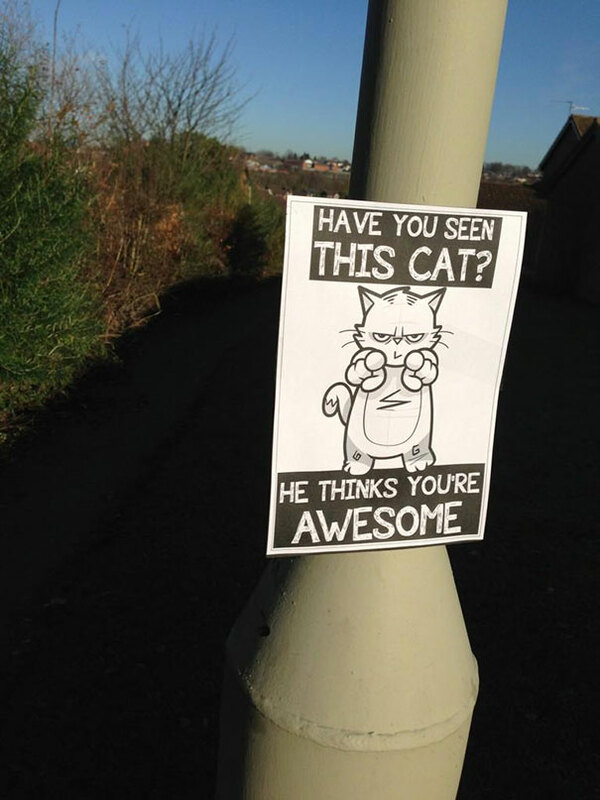 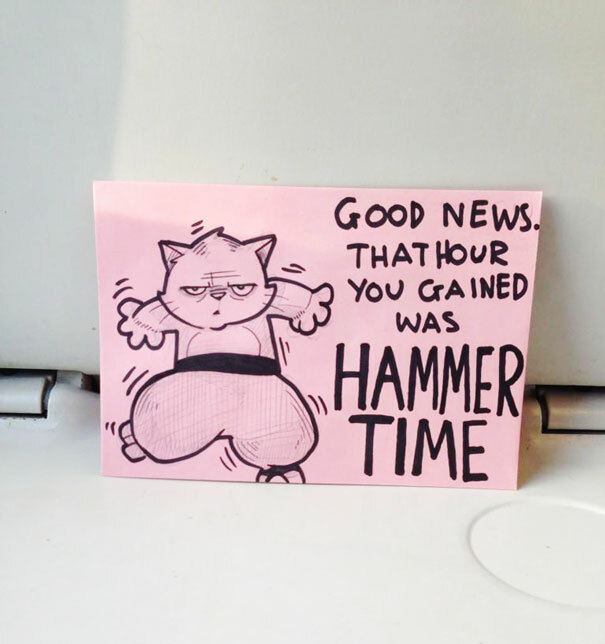 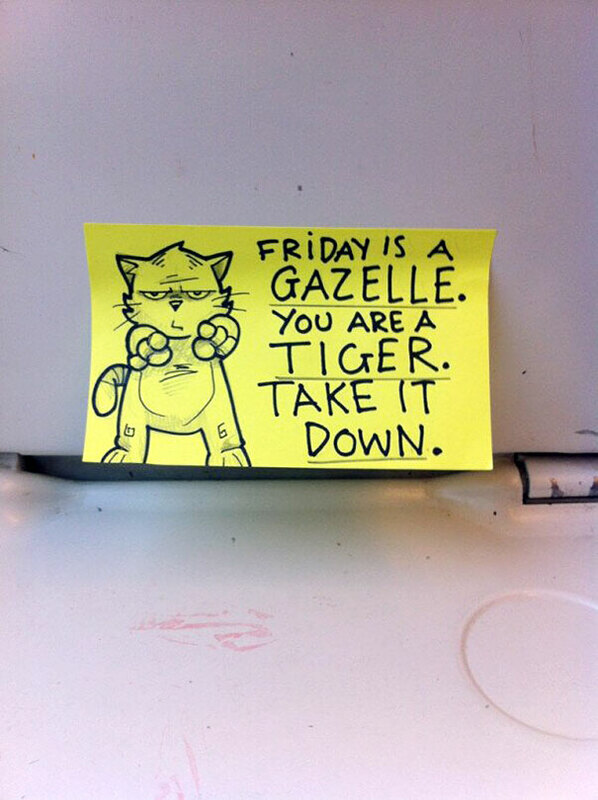 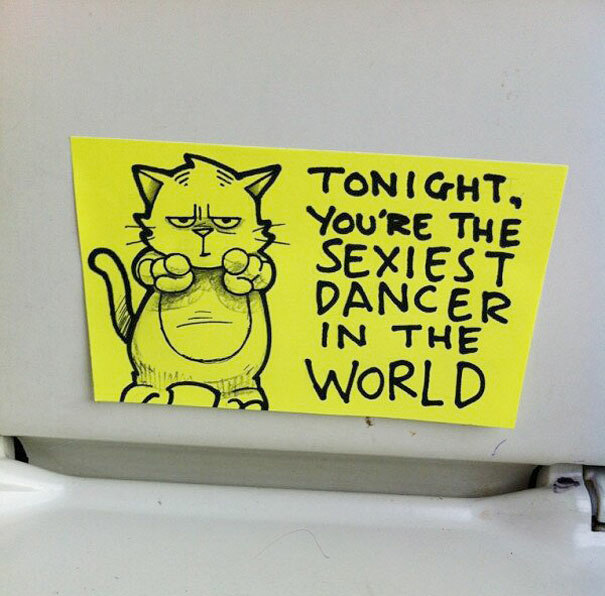 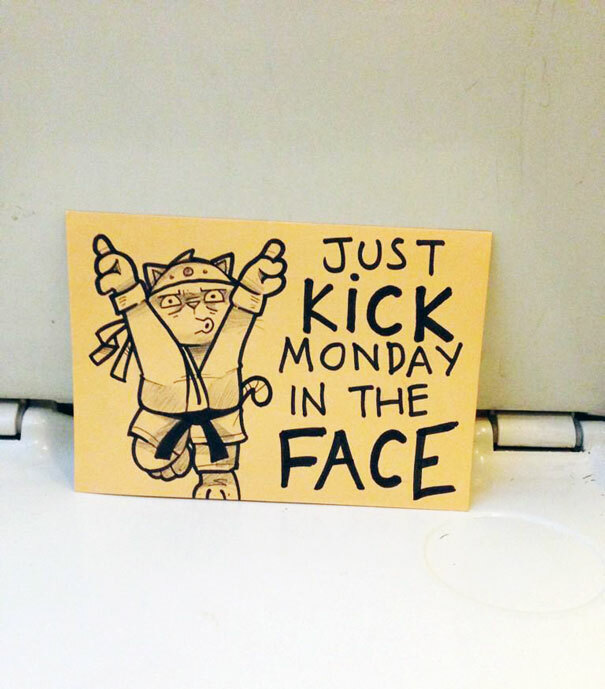 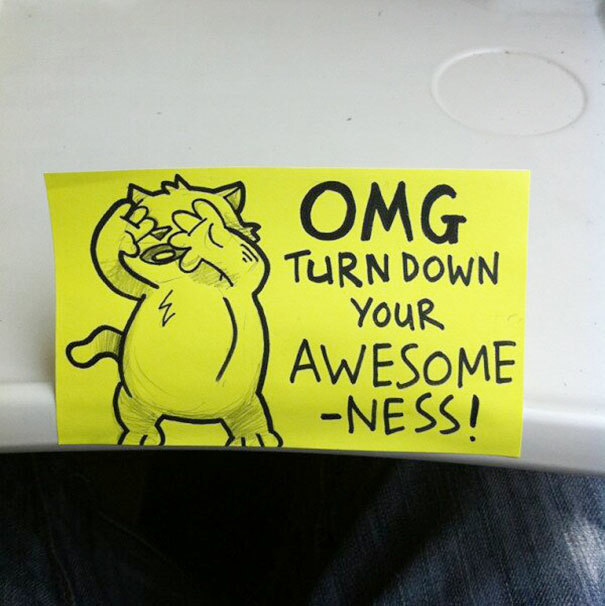 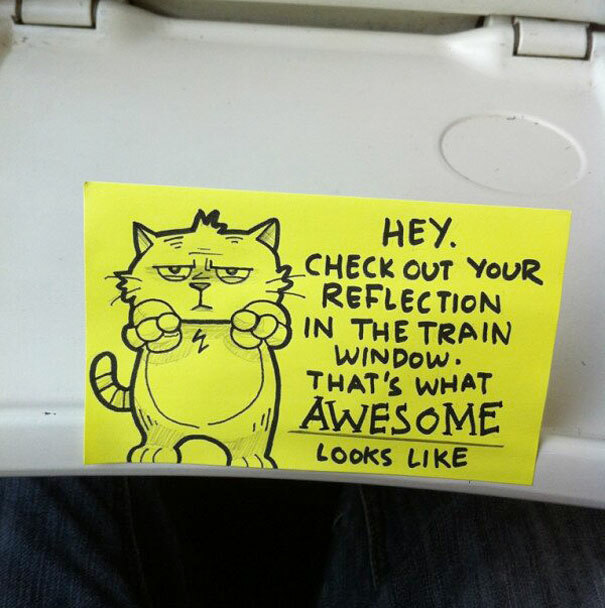 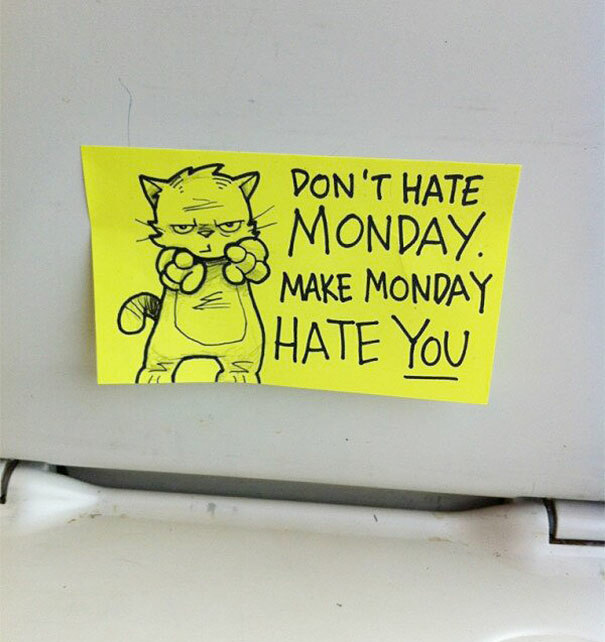 He’s back, with a fun series of sticky notes featuring a grimly determined cat named Peppy posing next to motivational messages. 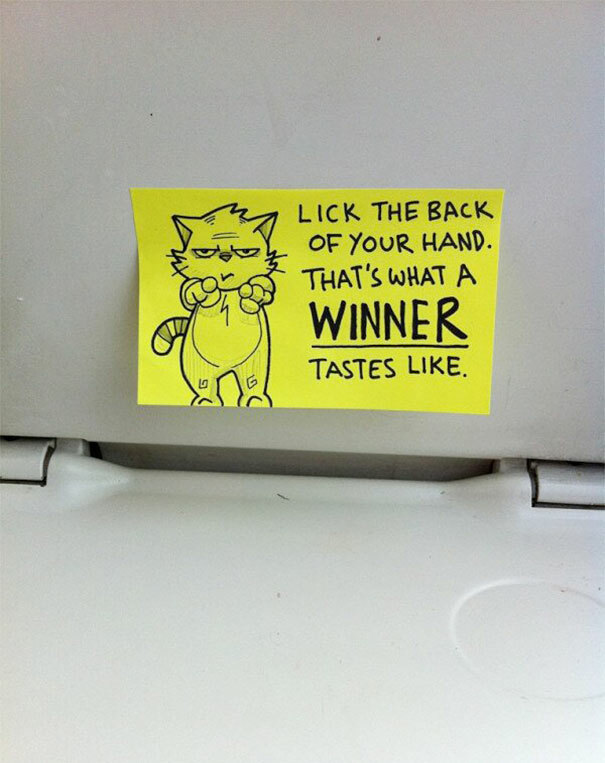 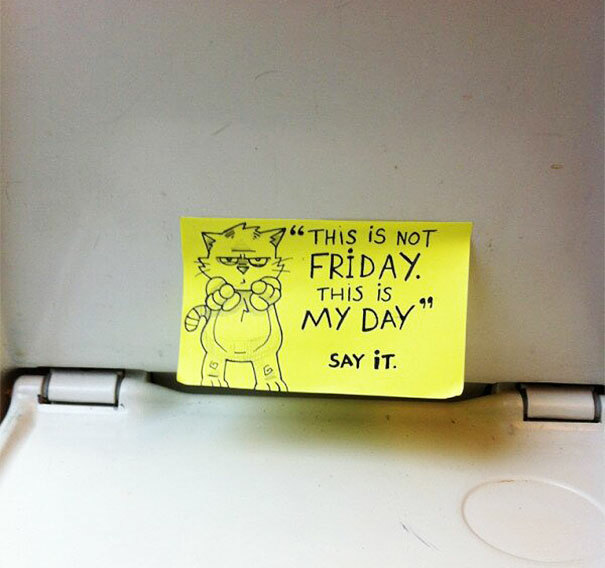 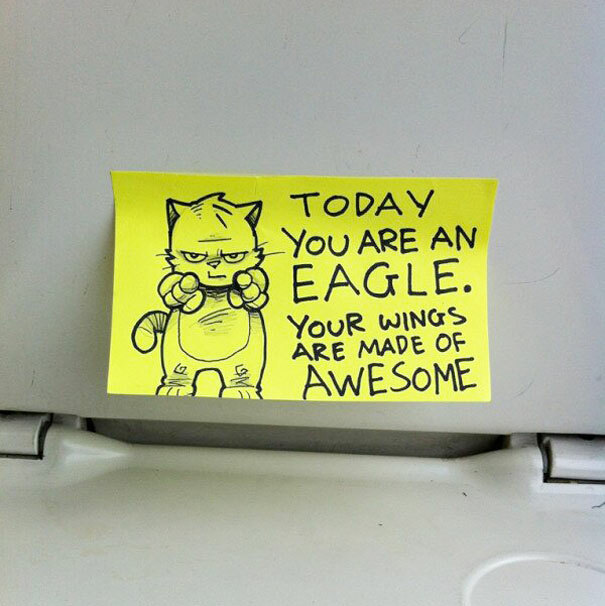 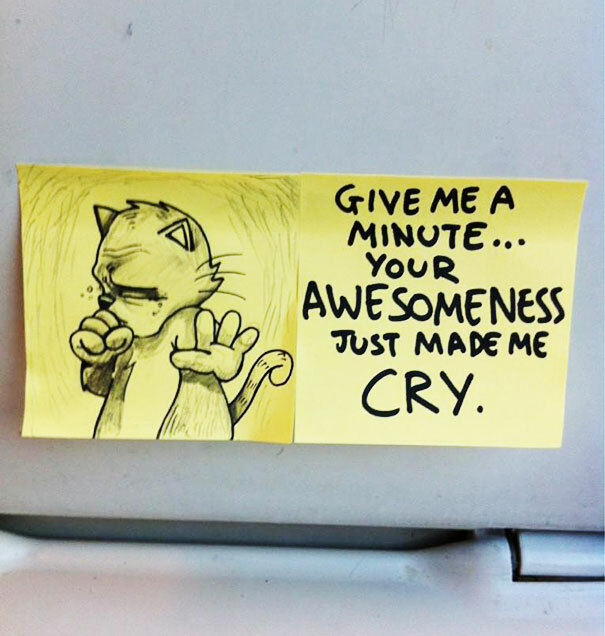 He draws them and leaves them in the trays of the train he takes for unsuspecting fellow commuters.